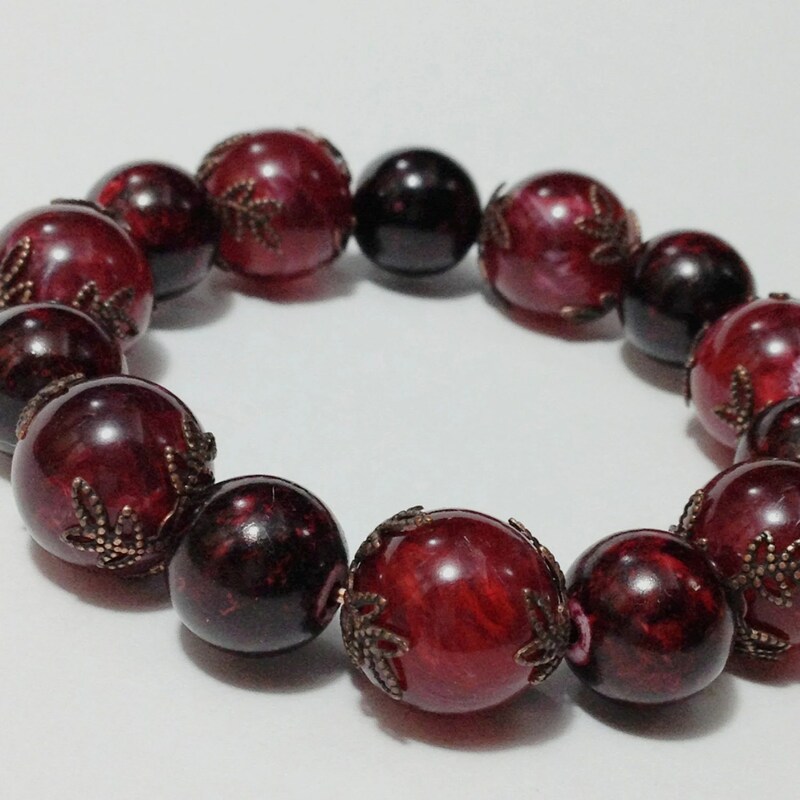 Beautiful Red Marbled stretch Bracelet. The beads look like Bakelite but I haven't tested them. If I find time, I will adjust listing accordingly. I love these easy on and off vintage round bead bracelets. Fun and always in fashion. This entry was posted in http://feedproxy.google.com/~r/JujubefunnyFinds/~3/_ZbswwZzVzg/vintage-marbled-cranberry-red-bracelet1375505303 and tagged IFTTT. Bookmark the permalink.